This article is a guide to show how small improvements can make a big difference for your fellow crew. Read on to learn what your crew wants you to remember each race! While it’s important to master your position on the boat, it’s equally as important to understand what’s going on in other domains and what you can do to make your teammates’ life easier and help the boat sail smoothly. We reached out to a mix of successful sailors to find out what they want the other crew members to keep in mind to help them execute their job the best they can. Here’s what they had to say. “The race is not over until the spinnaker comes down. 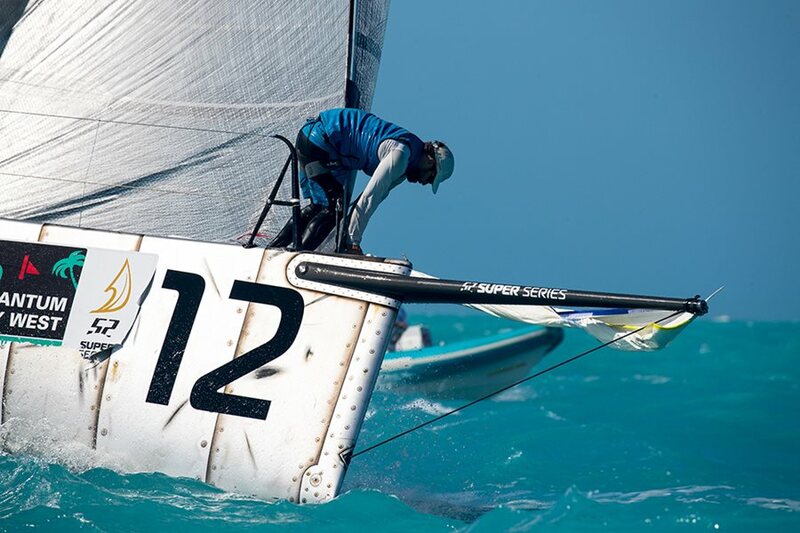 It is easy to switch to recovery mode right after crossing the finish line, but this can be costly with a messy takedown, ripped or wet sail. To go along with this, after races finish send the jib bag up before the food bag! It’s frustrating for the bow when I’m are ready to flake the jib and everybody is eating. “Be mindful of where things are thrown. For example: a jib change on the run, I may not be the one putting the old jib or bag down below, so I ask teammates to be mindful of the flaked kite halyard. I flake it once and then spend the rest of my run focusing on weight placement, pole position, finding the leeward marks and it becomes time consuming to have my head in the boat for longer than necessary. “A briefing with the days goals. There should be a morning discussion describing the weather, potential courses, and anything else important. After the team is on the same page, people can break into groups depending on who they need to interact with throughout the day. I talk to my offside trimmer and grinders about what situations may come up and then I talk to the main trimmer about possible sails and boat settings. “The most important thing is pressure calls and relatives. A main trimmer is ‘head in the boat’ which only gives them so much feel, so consistent and accurate information are crucial for boat speed. I am happy with simple dialogue with the tactician to know what modes are expected. If we develop standard steps, it becomes easy to be on same page. “Ask questions at the right time. I love when people want to learn and be involved with how the boat comes together, but choose a time when not much else is going on, probably not when I’ve just sat down to service a winch. I love it when each crew member takes responsibility for their station and addresses problems early, and to take it one step further if they are part of the solution whether it be a short term regatta fix or the long term ultimate fix, it’s fun to bounce ideas off others. *Editor’s Note: Shortly after publishing this piece, our team received the very sad news of Andrew Spaulding’s untimely passing. He was much loved by the sailing community and our team’s deepest sympathies go out to his friends, family and everyone who’s lives were touched by his wonderful spirit.